RFK lost, 50 years ago today ... Mike Barnicle for Daily Beast, "What I Saw on RFK’s Funeral Train 50 Years Ago Today ... "It was a somber moment. It was a horrifying year. And, in many ways, the country has yet to recover." D.C. readers, you're invited: Tomorrow at 8 a.m., Axios health care business reporter Bob Herman and I host a conversation on the cost of innovation in the health care ecosystem. RSVP here. 1 big thing: Facebook playing with fire in D.C.
Mark Zuckerberg survived questions about Russia's election-meddling largely unscathed. But the N.Y. Times revelation that Facebook knowingly granted four Chinese electronics companies (including Huawei, which U.S. intelligence officials see as a potential national security threat) access to Americans’ data — and didn't bother to tell Congress about it — has Washington fuming again. "U.S. job openings rose to 6.7 million at the end of April, compared with the 6.3 million Americans who were unemployed." What it means for worker: "Firms may need to pay more to attract workers, and some already are." This graphic helps explain why voters in this year's midterm elections are likely to hear such different stories about the economy: Blue House districts are more likely to have serious income inequality than red districts. Republicans resent lecturing of "liberal elites" and embrace policies that promote opportunity, because they live in places where people are generally in similar economic situations. 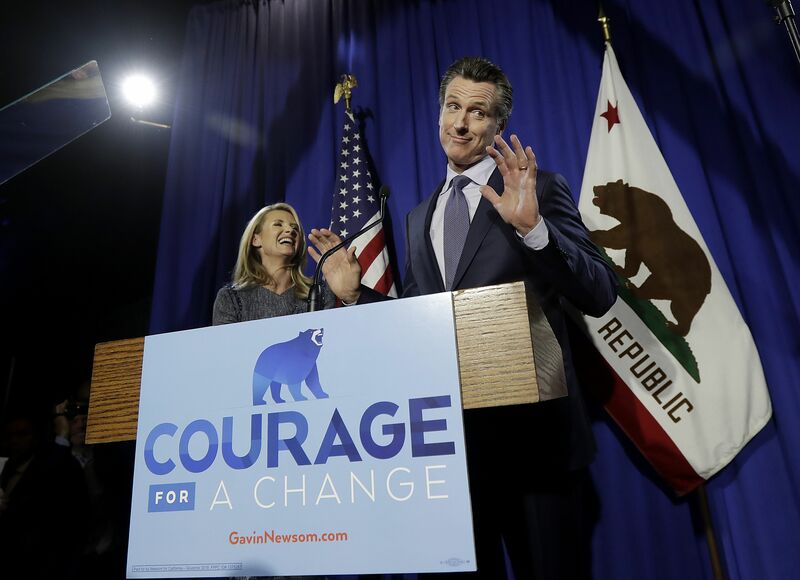 "Gavin Newsom, the favorite of the California Democratic Party's core liberal base, coasted to a first-place finish in Tuesday's primary election for governor and faces a November showdown with John Cox, a multimillionaire Republican hitched to the far-right policies of President Trump." "James told ESPN’s Chris Haynes, 'I know whoever wins this series, no one wants an invite.'" Curry: “I agree with LeBron ... The way we handled things last year ... we'll stay consistent with that." "After a number of Golden State players, including Curry, said they would not go to the White House last year, Trump disinvited the Warriors after they beat the Cavaliers in the Finals." "Trump is telling aides that he is now strongly considering pardoning Alice Marie Johnson, a 63-year-old woman serving a life sentence for a nonviolent crime, after meeting with Kim Kardashian last week to discuss her case — a move being resisted by his chief of staff and" White House counsel Donald McGahn. Why it matters: "The presidential pardon holds a special resonance for Trump, representing one area where he has almost unchecked power." "Trump entered the White House ... envisioning the presidency as more like his private business than a plodding bureaucracy. He has grown frustrated over what he views as Republican impotence on Capitol Hill, Mueller’s sprawling investigation and ... aides who are at times riven by infighting." "The Trump administration has put its search for the Justice Department’s No. 3 official [which would oversee the Mueller probe if Rod Rosenstein were to depart] on the back burner after failing to persuade several candidates," per The Wall Street Journal's Sadie Gurman and Aruna Viswanatha (subscription). Why it matters: "The department lacks permanent, politically appointed leaders to oversee at least five high-profile units, including the criminal, civil and tax divisions." "On Thursday, Trump was on Air Force One returning from a trip to Texas ... [W]hen an aide mentioned Sessions, Trump abruptly ended the conversation and unmuted the television in his office broadcasting Fox News, dismissing the staffer to resume watching cable." "Baker will become editor at large and host a television program on Fox Business Network ... He’ll also host conferences for the newspaper." "Murray, an executive editor at the Journal, ... has been with the company since 1994." The Journal's parent, News Corp., "is controlled by Rupert Murdoch and his family, which holds a 39 percent voting stake." Why it matters, from Adweek: "Baker’s time in his position at the Journal had been questioned after reported frustration from the newsroom over his perceived criticism of the company’s coverage of President Trump." 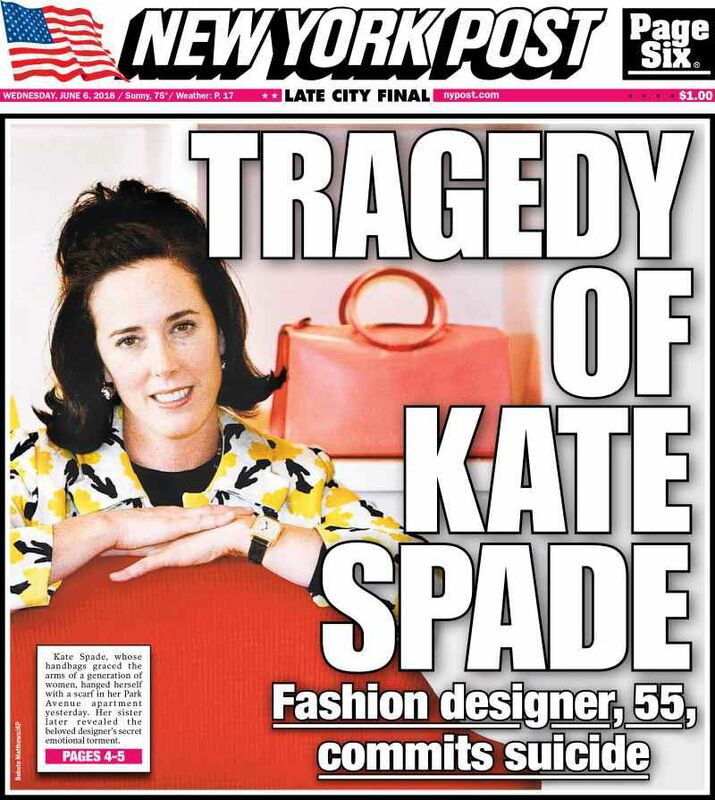 Kate Spade, 55, who suffered from depression and was found dead in her Park Avenue apartment of an apparent suicide, "was the happy answer to fashion snobbery," per WashPost fashion critic Robin Givhan. Why she mattered: "Her practical but lighthearted designs made sense to women who worked in offices, as well as those whose days involved ferrying children to soccer matches and sitting through parent-teacher conferences." "For a time, Spade’s game-changing, often-copied carryall nylon handbags dangled from the wrists of women nearing retirement as well as those whose professional lives had only just begun." "With a collection of accessories in cheerful colors, she and her husband, Andy Spade, turned an upstart family company into a multimillion-dollar cultural behemoth." "He's called out the Trump administration as lying about a meeting involving the president's son, punctured claims about the FBI spying on the Trump campaign, dismissed the characterization of the Russian investigation as a witch hunt and resisted White House characterizations of the Super Bowl champion Philadelphia Eagles." Why it matters: "Smith's [3 p.m. ET] news program has always stood out at Fox News Channel, but perhaps never more so than lately. While most of ... Trump's critics in the media often speak to sympathetic consumers, Smith's assessments hit ears that don't always seek — or want — a contrary point of view." "Fox aired a portion of Trump's White House rally on patriotism Tuesday that replaced the planned celebration of the Eagles' Super Bowl win, giving it more time than either CNN or MSNBC. ... [Shep] read a tweet from an Eagles player that accused the president of spreading a false narrative that the players are anti-military." 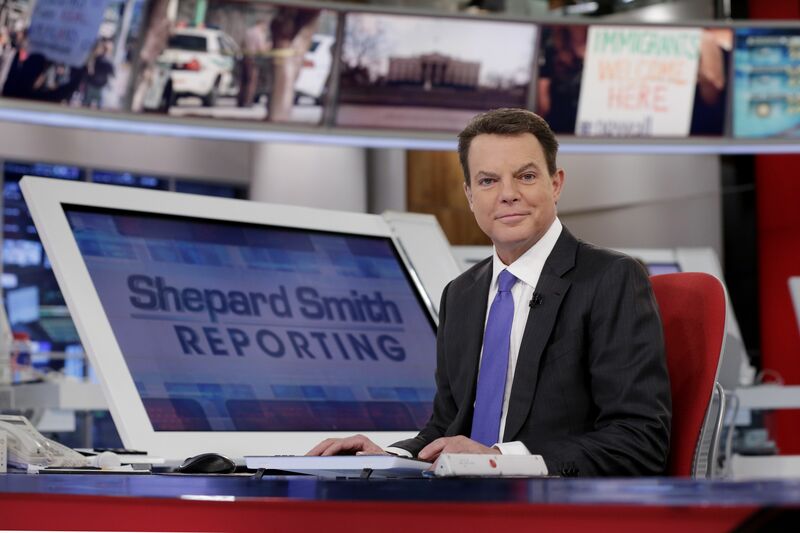 "[W]ith an average viewership of 1.4 million people, Smith's show is like most on Fox News in leading its cable news rivals in the ratings. ... In May, the two Fox hours that preceded his show and the one that followed him all averaged around 1.4 million viewers, too." "The president called it Spygate ... Fox News can confirm that it is not. Fox News knows of no evidence to support the president's claim. Lawmakers from both parties claim that using informants to investigate suspected ties to Russia is not spying. It's part of the normal investigation process." "The so-called rigged Russian witch hunt is not a witch hunt ... It has resulted in charges against four former Trump associates. Three pleaded guilty to lying to investigators about Russia." "Racism is not funny ... and Roseanne Barr is a racist."